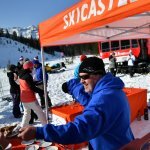 Wrightwood, CA – April 1, 2018: The Powder Alliance is excited to welcome Sugar Bowl, CA, Loveland Ski Area, CO, Castle Mountain Resort, AB Canada, and Ski Marmot Basin, AB Canada to its list of participating resorts for the 2018/19 winter. Now spanning 4 countries and 2 hemispheres, the Powder Alliance is one of the world’s most powerful reciprocal season pass programs offering top-tier pass holders three days at 19 premier winter destinations. Powder Alliance Resorts include Angel Fire, NM, Arizona Snowbowl, AZ, Bogus Basin, ID, Bridger Bowl, MT, Castle Mountain Resort, AB Canada, China Peak, CA, Kiroro, Japan, La Parva, Chile, Loveland Ski Area, CO, Ski Marmot Basin, Canada, Mountain High, CA, Mt Hood Ski Bowl, OR, Schweitzer, ID, Sierra At Tahoe, CA, Silver Star, Canada, Stevens Pass, WA, Sugar Bowl CA, Timberline, OR, and Whitewater, Canada. Sugar Bowl is one of the oldest resorts in California with ties to Austrian ski culture, Hollywood and Walt Disney. With four majestic mountain peaks and more than 500” of snowfall annually, it is the perfect addition to any Powder Alliance road trip. 12 lifts access 1,650 acres and 105 trails that include everything from steep chutes to wide bowls to perfectly groomed cruisers. Sugar Bowl caters to kids as well and this year they are proud to announce their newly renovated Kids Ski School. Now the Powder Alliance’s second resort in Lake Tahoe, Sugar Bowl is known for its short lift lines, uncrowded slopes and highest annual snowfall. Stay in the magical Hotel at Sugar Bowl in the only snowbound village in America, or discover nearby Truckee, a quaint former ice-harvesting, railroad, and timber town that now hosts charming shops and superb restaurants. Castle Mountain Resort (CMR) is the real deal. It is Alberta, Canada’s snowiest winter resort and second largest at 3,592 acres. The resort is known for the best continuous fall-line in Canada with no shortage of powder, 350 in, 900 cm’s annually. 2,833 feet of vertical are sure to get your legs burning with close to 100 trails and 8 delicious alpine bowls. Castle Mountain’s real strength is its appeal to advanced and expert riders. The area holds lots of steeps, glades, mini moguls, chutes, and cliff bands where freshies last for days. Located just 2.5 hours from Calgary, it is the only area in Alberta with drive-to, ski-in/ski-out accommodations. Visitors can book a stay at the Castle Mountain Ski Lodge & Hotel and/or find a variety of dining options in Castle’s mountain village. The area itself has an old school vibe and is ideal for those who enjoy skiing and snowboarding without the extra frills. If you are chasing powder on a big road trip, the only thing better than experiencing the superb hospitality at Castle is doing it for FREE through the Powder Alliance. Marmot Basin is located 20 minutes south of the authentic, mountain town of Jasper, Alberta. Boasting the highest base elevation of any major ski area in Canada, nature provides an abundance of light, dry snow from November to early May. Since 2003 more than $29 million has been invested in new lifts, snowmaking and gorgeous base area amenities. Marmot Basin is a world-class ski area that has maintained its uncrowded status in the breathtaking, protected wilderness of Jasper National Park, which is an integral part of the UNESCO Canadian Rockies World Heritage Site. Marmot Basin encompasses 1,720 acres of skiable terrain on five mountain faces that include 91 named runs and 3 terrain parks. You will find everything from long, winding, novice trails to high alpine bowls and steep chutes. Seven lifts, including the longest, high-speed quad in the Canadian Rockies, access 3,000 vertical feet and a top to bottom run of more than 3.5 miles. This season, they opened Tres Hombres, 45 acres of treeless slopes with chutes and powder-filled bowls that provides an uninterrupted fall line of more than 1,200 vertical feet. Major international airports acting as gateways to this paradise are through Edmonton and Calgary, both of which have a daily scheduled, shuttle service to Jasper. There are many beautiful ski destinations in Canada but none as pristine, natural and stunning as Marmot Basin in the Canadian Rocky Mountains. Near to the hearts and homes of Colorado skiers and snowboarders, Loveland Ski Area has been a local’s favorite for more than 80 years. Just 53 miles west of Denver, Loveland boasts 10 lifts serving 1,800 acres of high alpine terrain that tops out at 13,010’. With a season that stretches from mid-October to early May and an average annual snowfall of 422”, Loveland offers snow riders one of the longest and snowiest seasons in the state. Loveland Ski Area is a hidden gem offering a classic Colorado experience without all the frills or hassles of the neighboring mega resorts. Abundant snowfall, uncrowded slopes, remarkable terrain and a laid-back vibe make Loveland worthy of every Powder Alliance wish list. If you are still looking for more, Loveland also offers free snowcat skiing along the Continental Divide. The Ridge Cat provides cat access to some of Loveland’s most exhilarating terrain and is free to members of the Powder Alliance with a valid lift ticket. Enjoy panoramic views as you cruise to wide open bowls and powder choked chutes in the 18 passenger snowcat. Loveland will also be upgrading Lift 1 to a high-speed detachable quad for the 2018/19 season. Pass holders from any participating Powder Alliance resort receive three (3) days at all the rest. That’s up to 54 FREE tickets each winter! Tickets are free midweek, half price on weekends, and regular price on major holidays. This offer applies to top-tier, anytime passes only and not midweek, spring, or other restricted options. Restrictions apply and all tickets must be used in the same season as the accompanying pass. 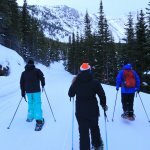 Guests are encouraged to visit www.powderalliance.com for a complete list of participating resorts and restrictions. Experience 19 different mountains next winter all for the price of your home resort’s anytime season pass. There are no membership fees, no collective pass prices, no additional charges of any kind. Guests simply show an anytime 2018/19 season pass from a participating Powder Alliance area and receive skiing benefits at all the rest. In 2014 the Powder Alliance was proudly named Best Season Pass Program by Ski Area Management magazine. Go explore 3,200 acres at Silver Star, BC, dive deep into 900 inches of fresh snow annually at Kiroro, Japan, or ride all summer at La Parva, Chile. All these benefits are FREE to full, anytime season pass holders of participating Powder Alliance resorts. Castle Mountain Resort (CMR) is located an exceptionally beautiful and snowy location in the Westcastle Valley of the Southwestern Alberta Rocky Mountains. Authentic, unpretentious, welcoming, and pure, are words most commonly used to describe Alberta’s snowiest resort. Located 2.5 hours southwest of Calgary, Castle is the only resort in Alberta with drive-to, ski-in/ski-out accommodations. The resort is well known for the best continuous fall-line terrain in Canada and no shortage of powder (350 in, 900 cm’s annually). Castle is Alberta’s second largest resort, by acreage, taking skiers and riders back to the roots of our sport with uncrowded slopes, superb hospitality, and fixed grip lifts. Closer to Heaven, Down to Earth…That’s Castle. Sierra-at-Tahoe, CA // Steven Hemphill, Director Of Marketing and Sales, 530-543-3130, shemphill@sierraattahoem.com Sierra-at-Tahoe is located just 10 miles West of South Lake Tahoe and boasts 480 inches of annual snowfall, 2,000 skiable acres including 320 acres of heart-pounding backcountry terrain out the Huckleberry Gates. With a continued commitment to terrain parks, it is easy to see why TransWorld Snowboarding readers continue to name Sierra Top 10 Parks in the nation. More info at www.SierraAtTahoe.com.